Shughni is one of the Pamir languages of the Southeastern Iranian language group. 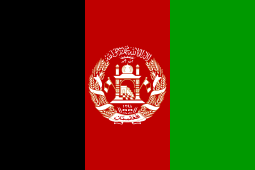 Its distribution is in the Gorno-Badakhshan Autonomous Region in Tajikistan and Badakhshan Province in Afghanistan. Shughni tends towards SOV word order, distinguishes a masculine and a feminine gender in nouns and some adjectives as well as the 3rd person singular of verbs. Shughni distinguishes between an absolutive and an oblique case in its system of pronouns. The Rushani dialect is noted for a typologically unusual 'double-oblique' construction, also called a 'transitive case', in the past tense. Rushani, Bartangi, Oroshor (Roshorvi), Khufi, and Shughni proper are considered to be dialects. However, Bartangi and Khufi are quite distinct, and may be separate languages. Zarubin, I.I.. Shugnanskie teksty i slovar. Moskva : Izd-vo Akademii nauk SSSR, 1960. ↑ Hammarström, Harald; Forkel, Robert; Haspelmath, Martin; Bank, Sebastian, eds. (2016). "Shughni". Glottolog 2.7. Jena: Max Planck Institute for the Science of Human History.